Continuous Professional Development (CPD) is essential for you as a professional, and it will be a lifelong learning process. NOCNA has received a formal CPD accreditation (Continuous Professional Development ) and is a registered provider by CPD Standards Office in England . CPD proves to be beneficial to human career development and advancement . Participants at our courses will be issued with a formal CPD certificate with points, which can be used for professional purposes in the employer and/ or union . This is for you an edge in the job market and contribute in many cases to obtain higher wages . 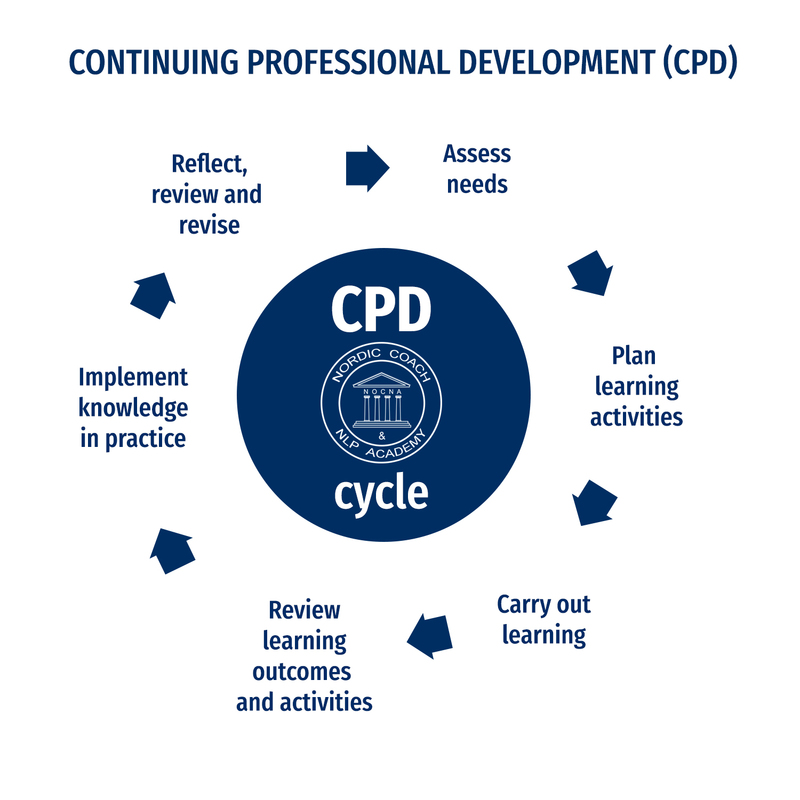 CPD stands for Continuous Professional Development. It refers to the process of tracking and documenting the skills, knowledge and experience that you gain both formally and informally as you work, beyond any initial training. It's a record of what you experience, learn and then apply. The term is generally used to mean some kind of a physical folder or portfolio documenting your development as a professional, but it is not only something on paper. You can do this in several ways. If you are member of a professional organisation, the organisation may have requirements for annual documentation of CPD hours or activities. CPD is the term used to describe the learning activities professionals engage in to develop and enhance their abilities. It enables learning to become conscious and proactive, rather than passive and reactive. Why is it essential for you? CPD helps you to regularly focus on how you can become a more competent and effective professional. Training and learning increases confidence and overall capability, and compliments your career aspirations. CPD enables you to adapt positively to changes in work or business/industry requirements. Planning CPD helps you to be more efficient with time, and recording CPD properly provides evidence of your professional development (this can be useful also for supervision, mentoring and appraisals). CPD shows a clear commitment to self-development and professionalism. It provides an opportunity for you to identify knowledge gaps and to resolve these in a recognisable approach to improvement. The CPD process helps you manage your own development on an ongoing basis. It's function is to help you record, review and reflect on what you learn. It's not a tick-box document recording the training you have completed. It's broader than that. Engaging in CPD activities ensures that both academic and practical qualifications do not become out-dated or obsolete; allowing you to continually ‘up skill’ or ‘re-skill’ yourself, regardless of your occupation, age or educational level.